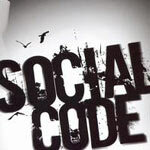 Social Code Biography, Discography, Music News on 100 XR - The Net's #1 Rock Station!!! 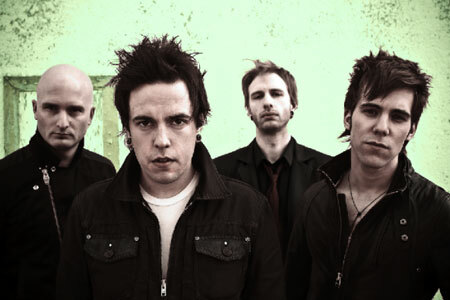 Based in Edmonton, Alberta, CANADA, this Alternative-Rock band had its roots in the short-lived group Fifth Season, featuring vocalist Travis Nesbitt and bassist Logan Jacobs. The pair played with a revolving door line-up of musicians until the permanent addition of guitarist Morgan Gies and drummer Ben Shillabeer. 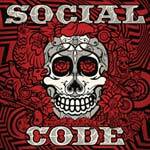 Since forming many people have become familiar with the work of Social Code, be it through their tours with Theory Of A Deadman, Buckcherry, Finger Eleven, Rev Theory and Three Days Grace, or from a pair of albums 2004's "A Year At The Movies" and the sophomore self-titled release through Universal Canada, three years later. 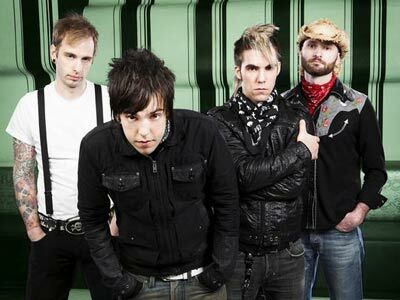 When 2008 was coming to a close, the band found themselves at a crossroads. 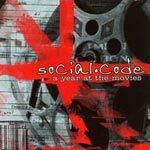 The quartet took time out to rethink what it was they were doing and Social Code decided to abandon the Pop-Punk found on their previous two albums and almost entirely replaced it with his vision of what radio Rock should be. The resulting third album, "Rock 'N' Roll", was issued in September 2009; it includes the gloriously grinding and noisy first single "Satisfied".